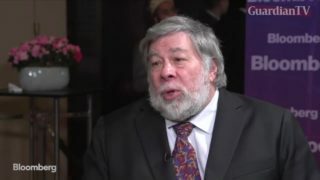 Apple Inc. co-founder Steve Wozniak discusses the folding phones which Apple's competitors Samsung Electronics Co. and Huawei Technologies Co. recently introduced. 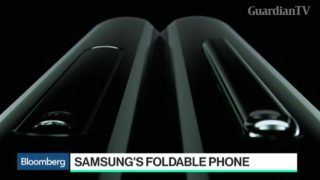 Samsung Electronics Co. debuted its most extensive lineup of smartphones, taking on Apple Inc. amid a slowing market with new low-end and premium models. 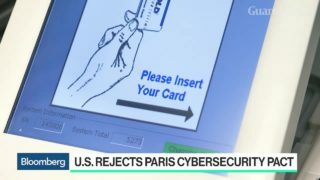 Microsoft Corp., Google and Samsung Electronics Co. are backing a cybersecurity pledge coming out of Paris that promises to unite tech giants and governments in battling election tampering, compromised electronic components and software hacks. 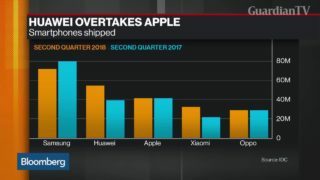 Huawei Technologies Co. pulled ahead of Apple Inc. to claim the No. 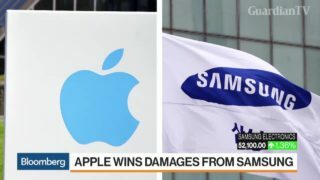 2 position in global smartphone shipments in the second quarter just behind Samsung Electronics Co. Bloomberg Opinion's Alex Webb assesses the impact of Chinese competitors on Apple and other challenges facing the iPhone maker on "Bloomberg Markets: European Open." 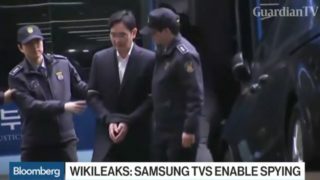 For a company that has been mired in negative headlines for months, just about the last thing Samsung Electronics Co. needed was news its smart TVs could be used to spy on users.